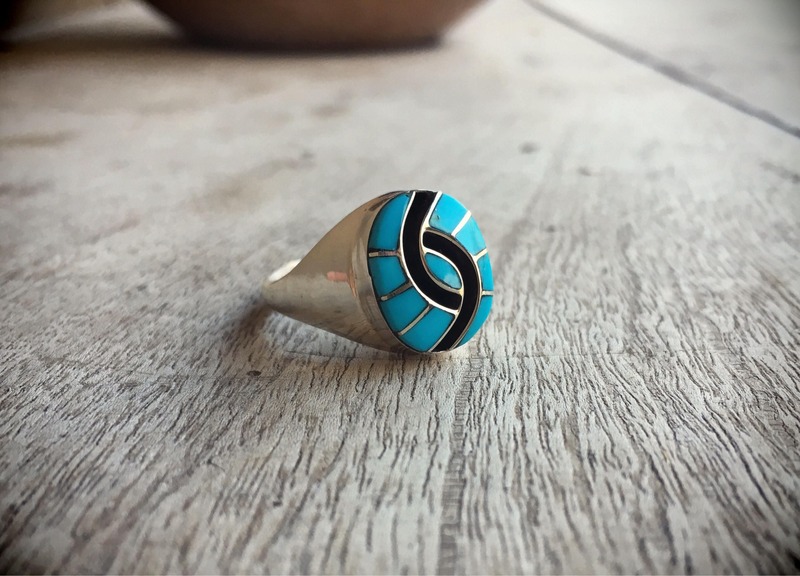 This beautiful ring features the traditional design know as the "hummingbird," for which Zuni artist Amy Quandelacy is known and whose works are collected by museums nationwide. 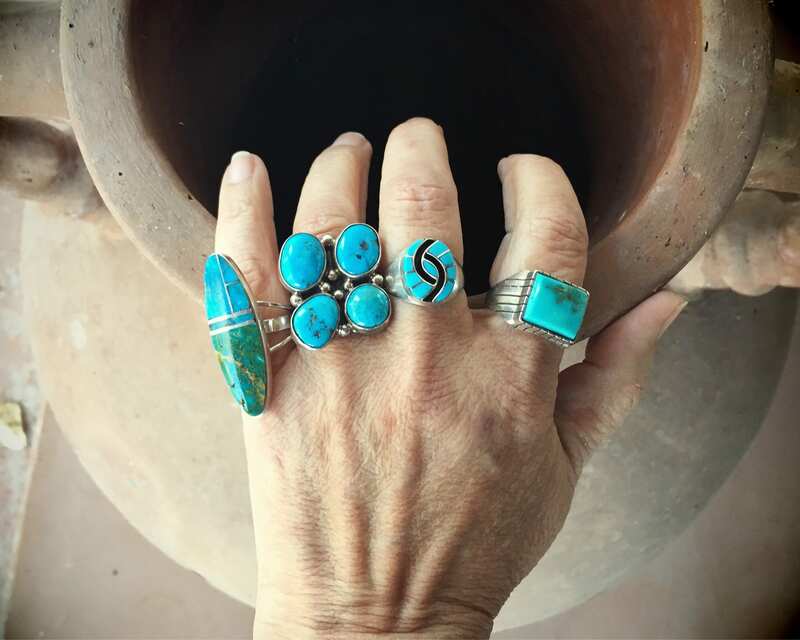 From the Kennedy Museum of Art website: "Husband-and-wife team Dickie and Amy Quandelacy began working together in the early 1970s. 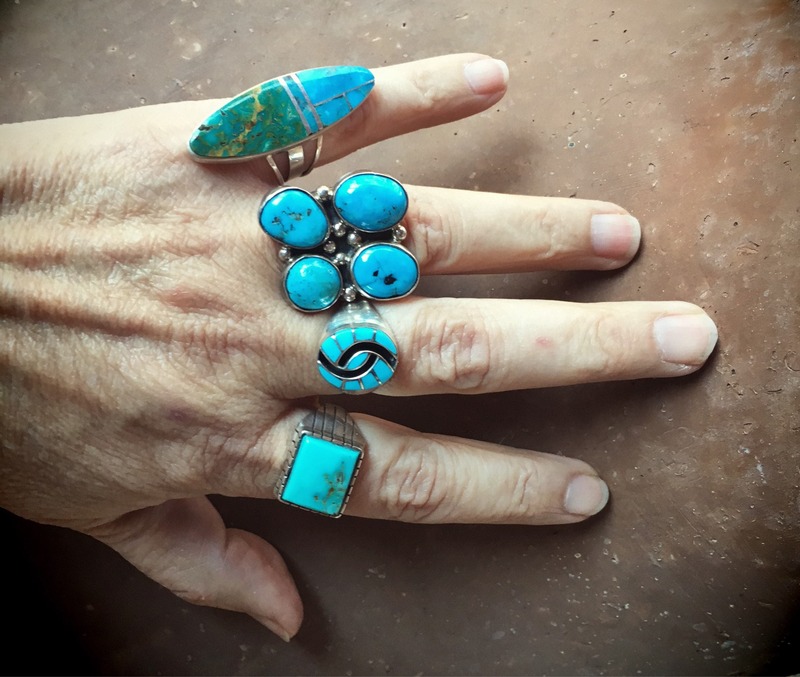 Dickie learned to make jewelry from his mother, Ellen Quandelacy; and he, in turn, taught Amy. 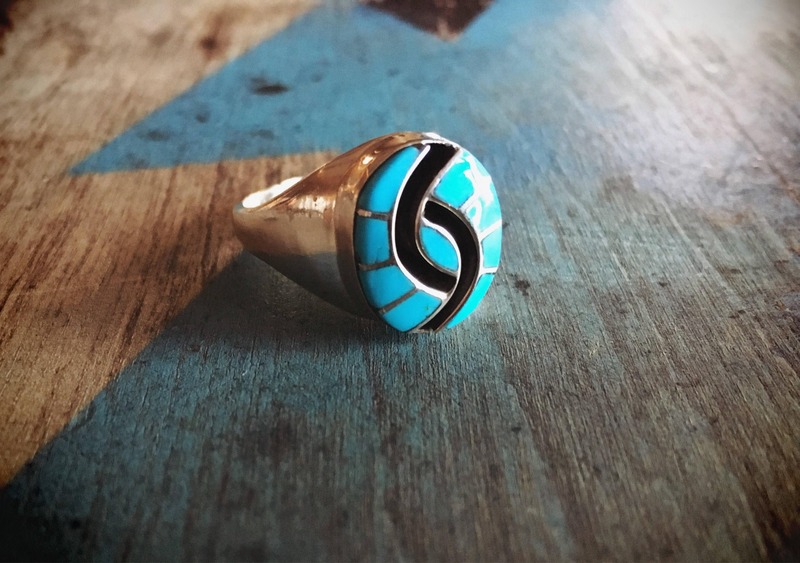 The abstracted double hummingbird design for which Dickie and Amy have become known originated with Ellen. While the two no longer work together, both Dickie and Amy continue to use the design. Dickie and Amy's work is variously described as 'raised solid inlay work' or 'raised, carved, three-dimensional channel inlay'." 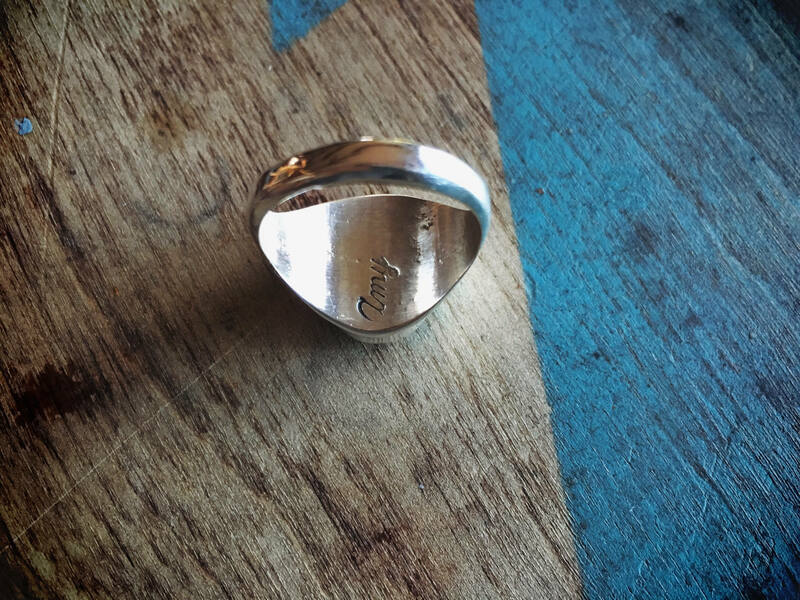 This ring carries the hallmark Amy, in cursive. 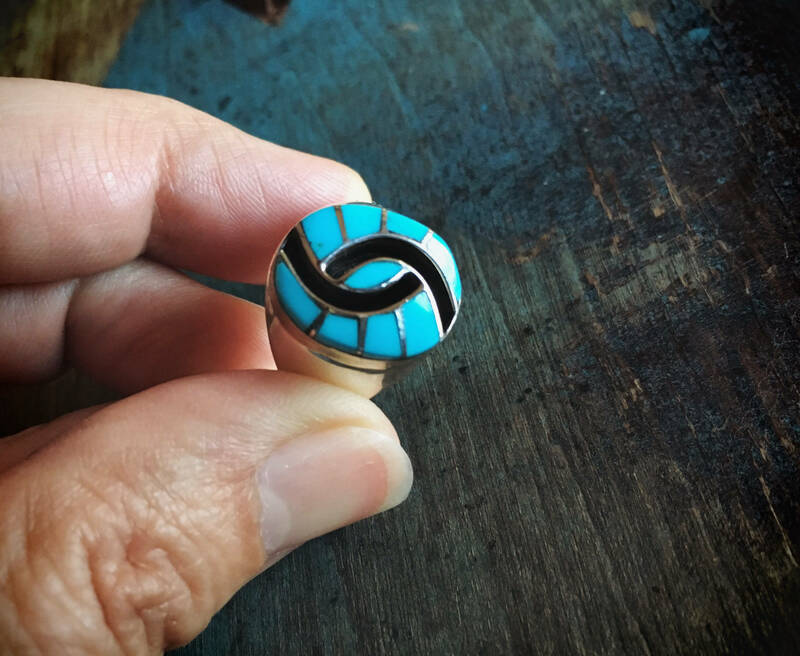 The Size 9.25 ring has a ring face of just under 1/2" wide by about 5/8" tall--not a large ring. 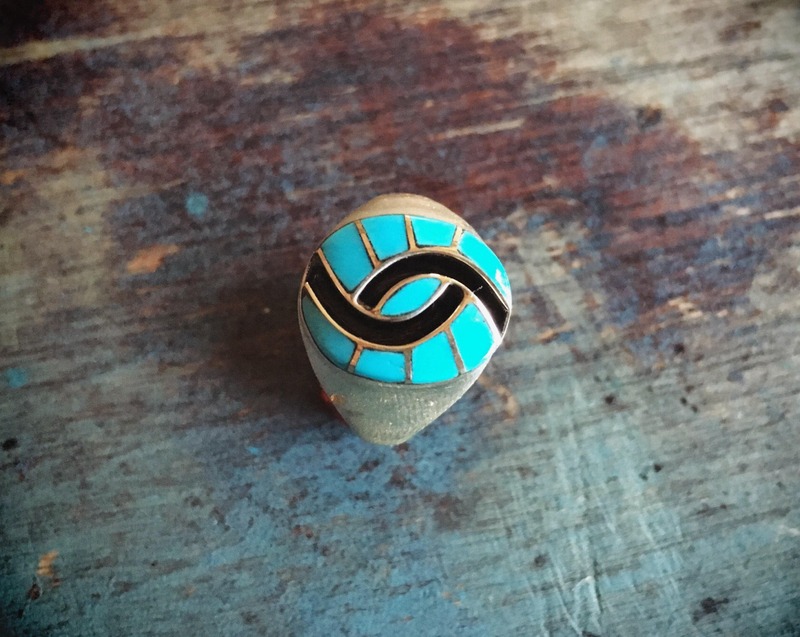 It is a great unisex ring, and can be resized for $25 additional. In good condition. Amazing artistry by a collected artist.